The other highlight of the gameweek includes table-toppers Bengaluru's visit to the capital to take on resurgent Delhi Dynamos. The league stage of the Indian Super League (ISL) is quickly drawing close to an end, with many teams still fighting hard to secure a spot in the playoffs. The race for the fourth position got heated up with NorthEast United’s win against Mumbai City, as it looks things will go down to the wire for that particular place. 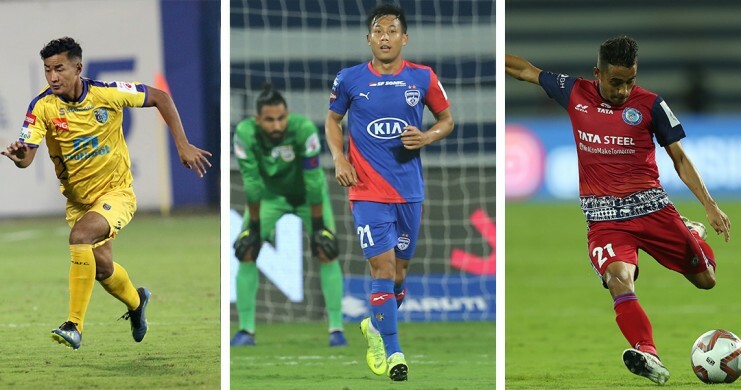 Bengaluru FC, NorthEast United and FC Goa look favourites to qualify for the knockout rounds and will look to tighten their grip in the upcoming week. There’s a lot of stakes in almost every match in this coming week, as we look at the game-week 15 preview. Date & Venue: 14th February, Jawaharlal Nehru Stadium, Goa. Time & Broadcast: 07:30 PM IST/ Star Sports 3, Hotstar and JioTV. FC Goa was drawn to a blank by Delhi Dynamos after showing inspired form after the International break and need to come back in a big way. With some more wins needed to secure playoffs qualification, the Gaurs will look to plough through ATK to entertain their fans. Steve Coppell’s men are in dire need of a win at Goa to keep their playoff dreams alive and will play with extra motivation as anything but a win could effectively end their campaign. The Gaurs have met ATK 11 times in the ISL, winning only once. ATK have won four encounters (including one in the playoffs), while the rest of the matches have all being stalemates. 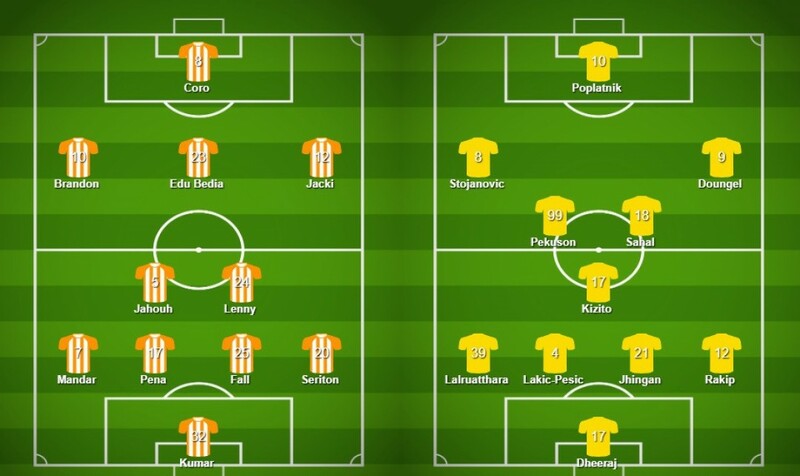 Sergio Lobera will continue with his patent 4-2-3-1 formation and hope his boys can find back their goal-scoring magic. The Gaurs are longing for a big win over ATK and will definitely play on the attack to take one step into the playoffs. 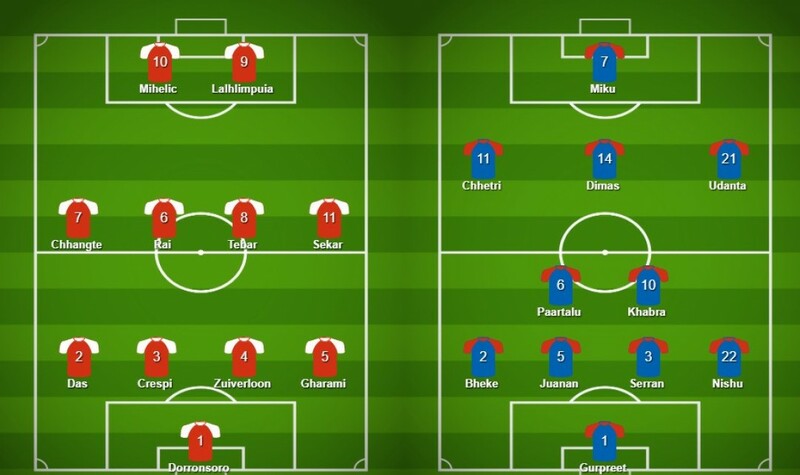 ATK will probably operate with a 4-2-3-1 formation, as Eugeneson Lyngdoh could come in for Pronoy Halder, who suffered an injury against the Stallions. Steve Coppell’s side will need to play for a win and need to be effective on the counter-attack to get all three points from Goa. Ferran Corominas was disappointing against Delhi Dynamos but will look to pick up form quickly. He’s currently leading the goal-scoring charts and will aim to increase his tally by scoring past the stubborn ATK defence and continuing his solid goal-scoring run at home. Everton Santos hasn’t scored a goal for ATK yet but needs to finally show his best form against Goa. The striker was sharp against FC Pune City and needs to retain his momentum to score a few crucial goals for ATK to keep them in the hunt for the playoffs race. Date & Venue: 15th February/ Jawaharlal Nehru Stadium, Kochi. Kerala Blasters and Chennaiyin FC both displayed signs of life against Bengaluru FC, stunning the South Indian giants with a draw and win respectively. Now facing each other in another local derby, they’ll look to win the bragging rights battle. Kerala are in desperate need of a win at home to rejuvenate their sorrow support, while Chennaiyin will aim to continue their run and build their momentum before the AFC Asia Cup campaign. Chennaiyin FC holds the edge over Kerala Blasters, having won four games over them. The Blasters have only won twice, while the remaining five games have been draws. Kerala Blasters will operate with a 4-5-1 formation, as Nelo Vingada will hope to continue their slow resurgence under him. They’ll need to be better defensively, but if Kerala can repeat their counter-attack heroics and be more clinical in front of goal, they could get a sneaky win. Chennaiyin FC will also go with a 4-2-3-1 formation but could make a few changes from the other day. 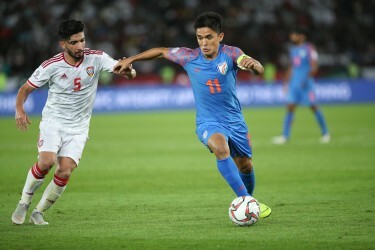 Anirudh Thapa should come back into the lineup, as the defending champions will look to continue playing incisive attacking football and mount on Kerala’s sorrows. Seiminlen Doungel’s probably been the brightest attacking talent for Kerala Blasters this season. He’ll look to use his creativity and clinical nature in front of goal to produce some majestic moments and light up the Jawaharlal Nehru Stadium once again. CK Vineeth returns to play against his former side and will look to prove them wrong with a positive performance. Vineeth’s already shown signs of improvement at Chennaiyin and will look to score at his former home to continue the Marina Machans good run. Date & Venue: 16th February, JRD Tata Sports Complex, Jamshedpur. Jamshedpur FC’s playoffs chances received a boost when NorthEast United and ATK both dropped point last week. They have a golden opportunity to break into the top four with a win against FC Pune City and will need to fight together for all three points. Phil Brown’s Pune are no pushovers and will look to derail Jamshedpur’s dreams and continue their resurgence on Saturday. In the three times, these sides have met so far, the Stallions have won every time and will aim to continue their perfect run in the weekend. Jamshedpur FC will retain their 4-2-3-1 formation which has helped them succeed this season and will be hopeful of Michael Soosairaj’s comeback for the match. Cesar Ferrando’s side will aim to play some stylish, attacking football and gain a compelling victory before some difficult matches ahead. The Stallions will continue with their 3-4-3 formation and will look to prove their attacking ability to manager Phil Brown, who questioned it after the ATK game. FC Pune City’s away form recently has been pretty good and they have enough firepower up front to trouble the Men of Steel at their own den. Farukh Choudhary’s been on song for Jamshedpur FC after the Asian Cup break and looks dangerous whenever in possession. He seems primed to make a big impact anytime now and if his team-mates play to his tune against Pune City, Farukh could create big problems for the Stallions defence. Iain Hume’s yet to open his tally for the Stallions, but seemed promising at times against ATK. While the Canadian’s not completely fit, his striker’s instincts and experience in the ISL makes him a big threat as Hume will aim to finally score a goal to win another match for Phil Brown. Date & Venue: 17th February, Jawaharlal Nehru Stadium, New Delhi. Delhi Dynamos’ bloom might’ve come a tad bit too late, but they’re insistent on ending their season on a high. Facing a reeling Bengaluru side, they have the perfect opportunity to prove their mettle and give the fans some enjoyment. The league-leaders have seemingly slacked off in recent weeks, but need to get back to winning ways if they’re to win the league stages again. Bengaluru have the upper hand over Delhi, having defeated them twice in three meetings and the Lions' won only one game. Delhi Dynamos will play with a 4-4-2 formation, as Lallianzuala Chhangte should be back to face the Blues. Josep Gombau’s men will look to take the game to Bengaluru, playing on the attack and relying on their attackers’ electric ability to earn them a precious home win. 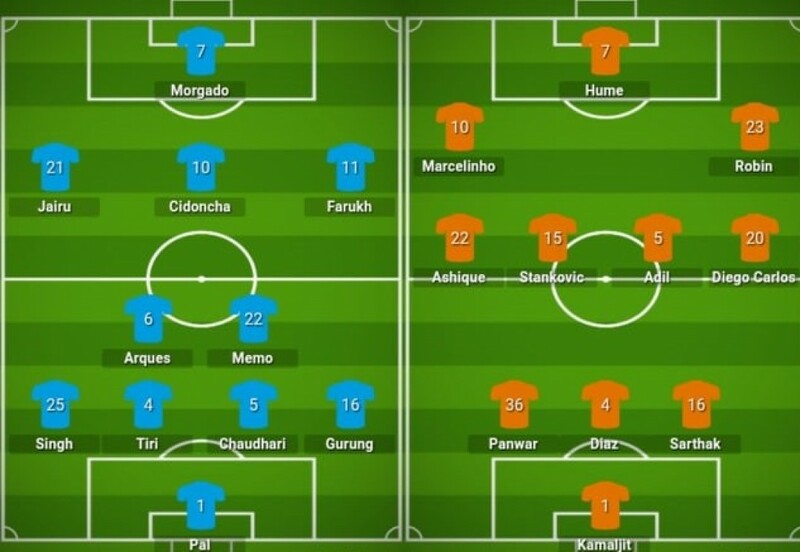 Bengaluru FC should be going with the 4-2-3-1 formation but will make changes from their last game, as Udanta Singh should come in. They’ll hope their defence shows signs of improvement and for their clinical attack to put on a show in order to take all three points from the capital. Daniel Lalhlimpuia’s shown promising sign leading the line for Delhi recently and will look to make an impact against Bengaluru. The wily striker will aim to outwit Bengaluru’s stubborn defence and add to his tally for the season while providing entertainment to the fans. Miku started his first game after the international break against Chennaiyin, but couldn’t get going then. He’ll aim to do so at the capital and going by his solid away record, Miku’s hunger for goals will be difficult to stop for the Dynamos on Sunday. Date & Venue: 18th February/ Jawaharlal Nehru Stadium, Goa. The games are coming thick and fast for FC Goa, who’ll look to seal their playoffs qualification against Kerala Blasters. Winning the remaining home games are vital for Sergio Lobera’s side to try and finish in the top two and they’ll look to guarantee qualification in style. Kerala Blasters could be happy with a point from Goa but will look to stun the hosts with their unpredictability and aim to climb the table with maximum points. FC Goa have won 6 out of the 9 games they’ve faced against Kerala Blasters, with the Yellow Army winning only 3. 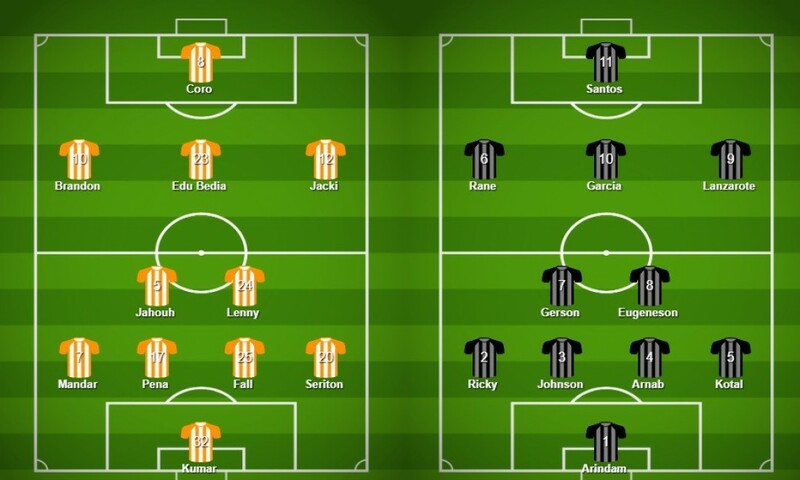 The Gaurs will definitely go with the 4-2-3-1, attacking approach against a defensively frail side like Kerala Blasters. Coro, Edu Bedia and co will look to put on a clinic of their effective, Spanish style and give back some joy to their devoted fans. 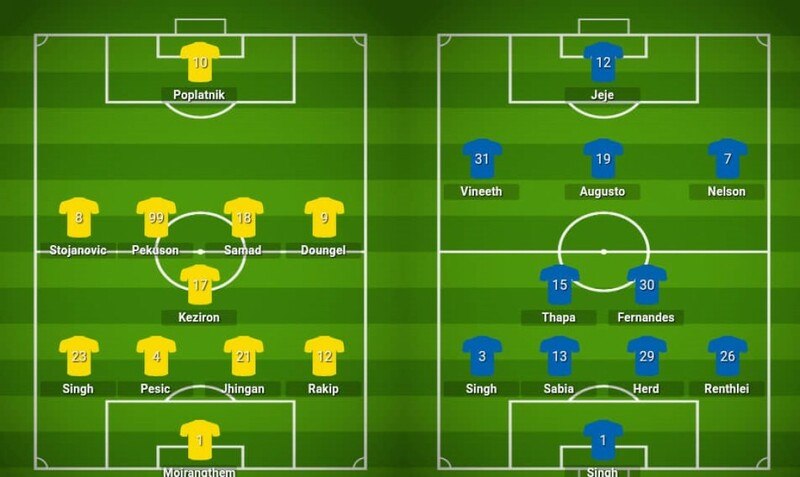 Kerala Blasters should retain their 4-3-3 formation on the day but will play a bit more defensive knowing FC Goa’s firepower. Nelo Vingada will hope his side’s pace on the counter can hurt the Gaurs and lady luck can fetch them a few points from this difficult fixture. Brandon Fernandes’ form after the international break has been solid, as he’s implemented himself as the creative front for Goa. He’ll look to use that creativity to unlock Kerala’s defence and make things much easier for his Spanish attackers in the final third. Sahal Abdul Samad’s been Kerala Blasters’ shining light this season, turning up in big games. Knowing his love for the big occasions, Samad can trouble FC Goa’s midfield with his persistence and ability to open up defences on occasions. He’ll have to be at his best to stop the Gaurs from dominating the game and carve out a win for his side.